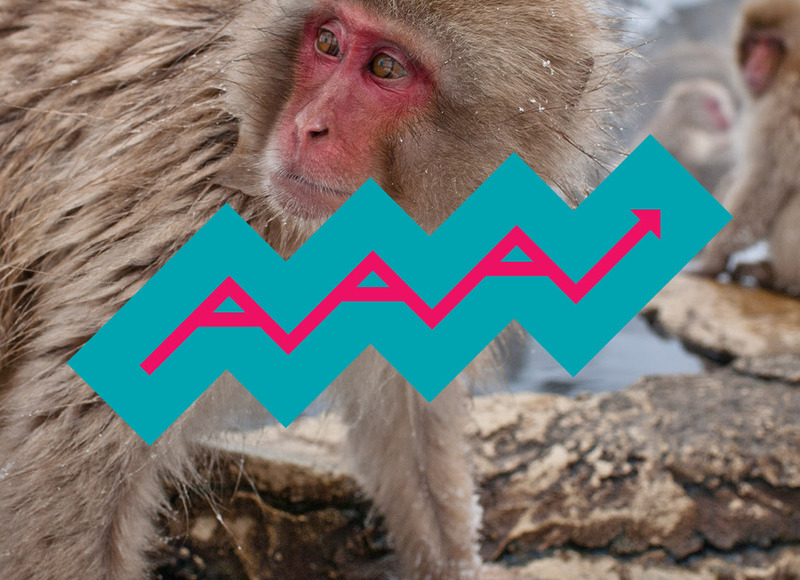 October AAA: What is the Anthropocene? Photo: Beyond Neon, Worried Snow Monkey, [Flickr] is licensed under CC BY 2.0. Kyungsoo Yoo studies genesis of soils. His research goal is to understand interactions among minerals, organic matter, and organisms as they move in soils and across landscapes and to understand how these interactions have been altered by humans. 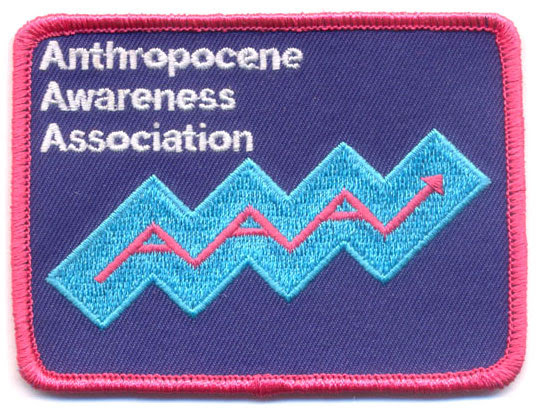 Become a member of AAA and receive your bonafide club patch! Available along with a Fulton beer of your choice for only $10 at the event. Save the Date for the next meeting of AAA: November 17th, 7 pm with Eben Kirksey, author of Emergent Ecologies. Cedarside 2016 Artists with Muna Ahmed, Blessing the Boats. Photo: Dusty Hoskovec. Northern Lights.mn is thrilled to announce the launch of our artist open calls for Northern Spark 2017. The festival, which will take place on Saturday, June 10th, will be the culmination of a full-year of urgent & imaginative programming around the theme of Climate Chaos | Climate Rising. The Light Rail Green Line will act as the creative spine of the festival, spanning US Bank Stadium in Downtown Minneapolis and CHS Field Stadium in Lowertown, Saint Paul. All along the Green Line, neighborhoods will light up with participatory art projects, weaving global questions about climate change into the fabric of community celebrations. Even trains themselves will be animated by artists throughout the night, making the entire festival experience feel like one unforgettable ride. This year, we have several open calls ranging in medium and scale, and focusing on different communities. Please note that deadlines vary by call. Basic descriptions are listed below, to read our calls in full, please visit our website. Submissions links will also be posted there. Stay tuned for more artist opportunities coming soon. If you are planning on submitting a proposal and would like to receive relevant open call updates, please e-mail submissions@northern.lights.mn. Northern Lights.mn and our festival partners are conducting workshops for artists who are interested in submitting proposals to Northern Spark 2017 Climate Chaos | Climate Rising. Each workshop will include information on climate change and a walk through the open call process with tips for more successful artist submissions. Workshops will be located in the vicinity of our core partners’ business district. Please sign up here for updates on locations and additional information. Northern Lights.mn is excited to welcome our first-ever Northern Spark 2017 Program Council! 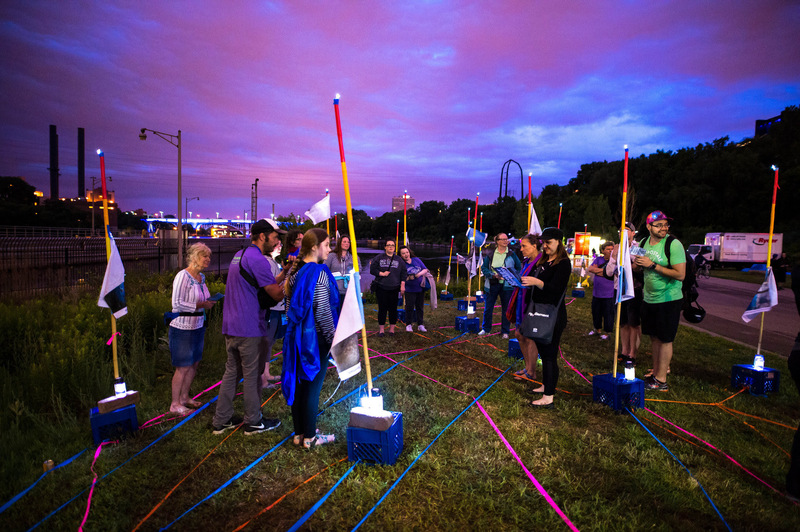 When we received Knight Foundation support to site Northern Spark 2017 along the Green Line, Northern Lights.mn decided to work in a different way to plan the festival: we wanted to engage neighborhoods and cultural communities directly. In the spirit of forging these new relationships, we’ve assembled Northern Spark’s first-ever Program Council, made up of 9 artists with cultural connections to neighborhoods on the Green Line where the festival programming will take place: West Bank, Little Africaand Little Mekong. Their role is to work with Northern Spark staff to shape the open call process, jury projects, and encourage greater participation and neighborhood engagement. We are incredibly lucky to work with, support, and partner with such great visionaries. Please find their brief bio and photos below, with more info here on our website. Adan is a poet who writes in his native Somali language. He is an active member of his community and a full-time student. Connect with Adan on Facebook. Sara was born in Addis Ababa, Ethiopia and attended Addis Ababa University Fine Arts School with a degree in sculpture and painting. She has participated in several exhibition shows with various local and international institutions in Ethiopia. She moved to the U.S. in 2006 and has continued her artistic pursuits. Hapistinna Graci Horne, better known as Graci, was born and raised in MN. Her bands are the Sisseton Wahpeton Dakota people and Hunkpapa Lakota/Dakota people. 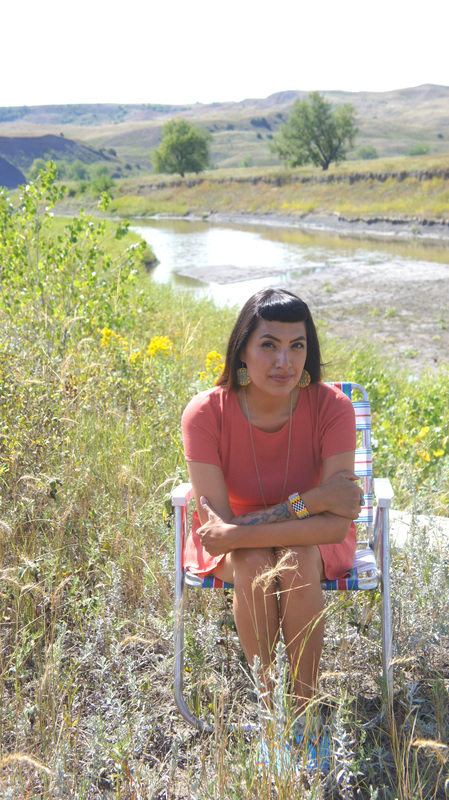 She holds a degree in Museum Studies from the Institute of American Indian Arts in Santa Fe, NM and is an expert in exhibition design, planning, and curation, as well as educational programming. Connect with Graci at hgracihorne@gmail.com. Filsan is a environmentalist, community organizer, and an instigator for change. She hopes to use her voice to improve lives of those in her community, especially on the importance of being engaged in the entire process of democracy. Connect with Filsan on Facebook. Pa Na Lor is a storyteller working in an array of multimedia and experimental animation to tell her stories – grand or miniscule. Currently, she is creating an experimental animation through digital collaging, hand-drawn and paint-on-glass animation, printmaking and painting. She currently resides in Saint Paul, MN. Connect with Pa Na on Facebook. 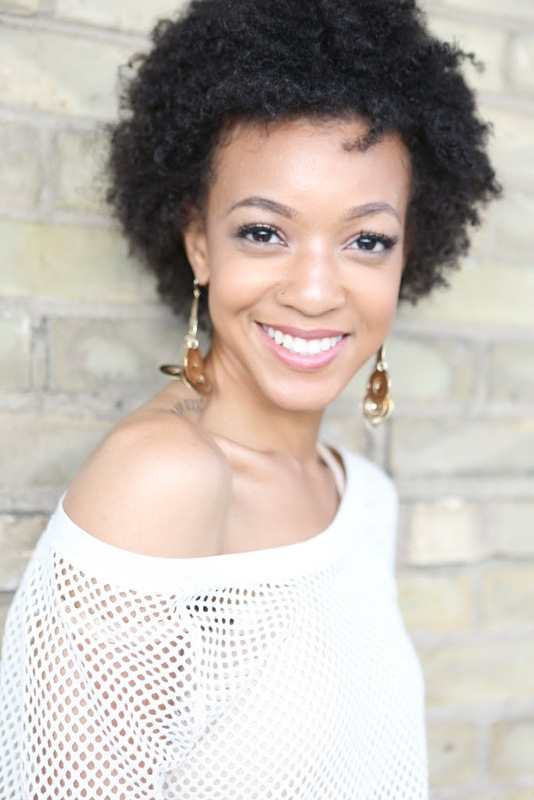 Brittany Lynch is a poet, TV/radio personality, actress, entrepreneur, creative consultant and community organizer. Star Tribune declared her one of the “Most Influential Black Young Leaders of the Twin Cities.” Her skills are truly limitless. Connect with Brittany through twitter @heymissbrit. 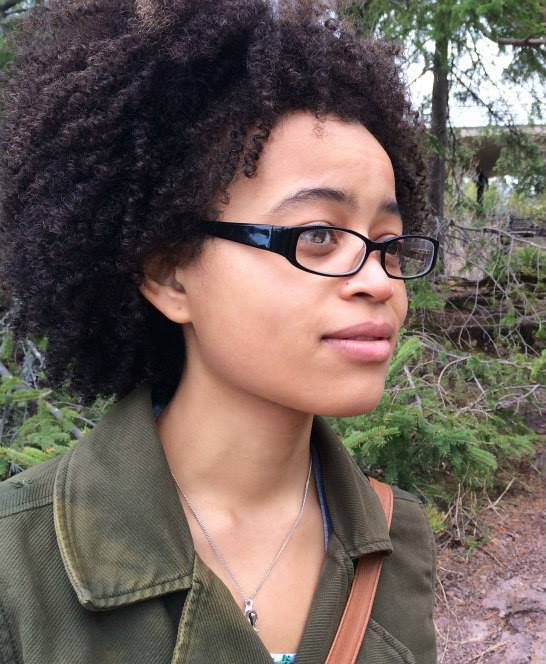 Sagirah Shahid is a poet by way of Minneapolis. 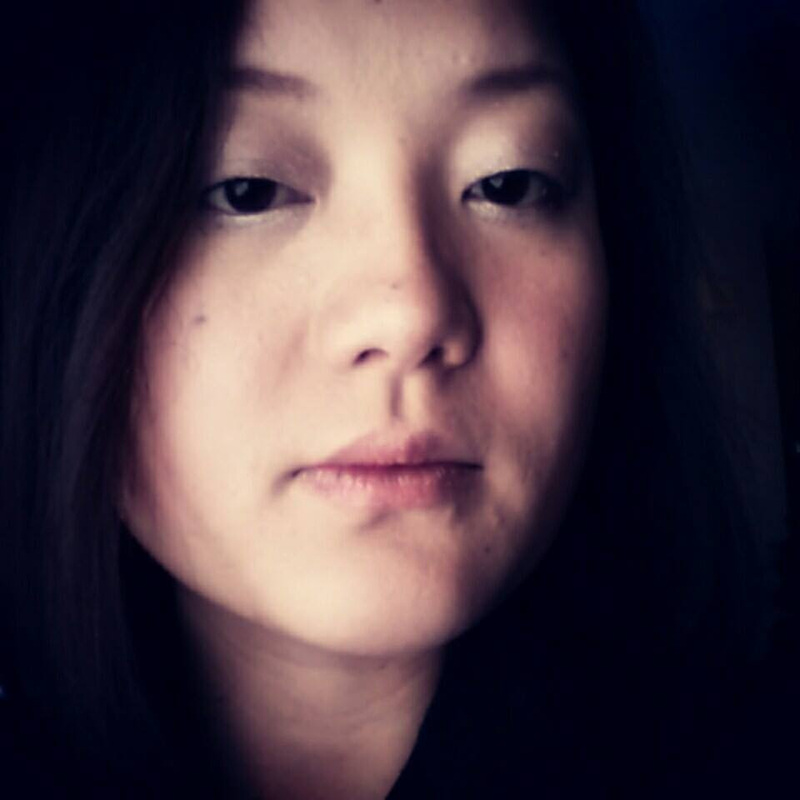 She is a 2015-2016 winner of the Loft Literary Center’s Mentor Series Award in poetry. 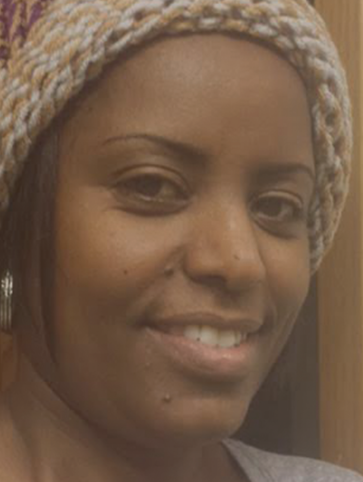 Sagirah’s work has been published widely, including in Mizna, Alyss, Qu and The Fem Literary Magazine. 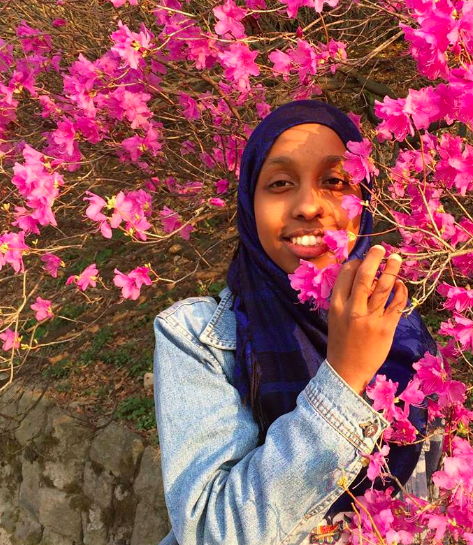 Sagirah is an editor at the Saint Paul Almanac and is currently at work writing her first book of poetry. Connect with Sagirah through twitter @sagirahs. Aki Shibata was born in Tokyo, Japan. She moved to the U.S. for her arts education, and graduated in 2007 with a BFA in Photography from the College of Visual Arts in St. Paul, MN. 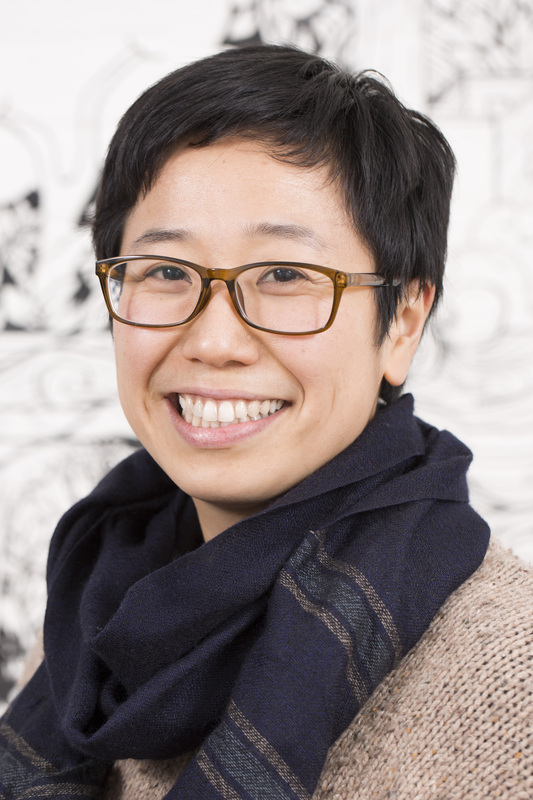 Shibata states that she “creates more places and ways to let people meet their peace.” Her artworks are an examination of her body and mind in public and gallery spaces. Connect with Aki through twitter @chibataki. 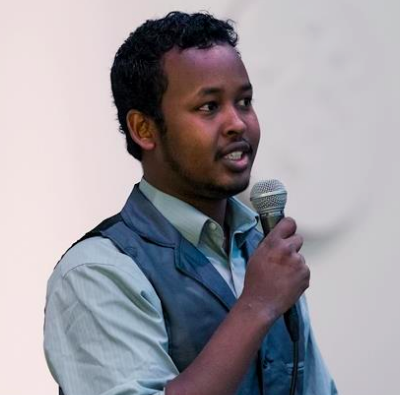 Ahmed is a writer and storyteller using his artistic work to highlight his community with his book Somalis in Minnesota, published by Minnesota Historical Society Press as part of the “People of Minnesota” series. 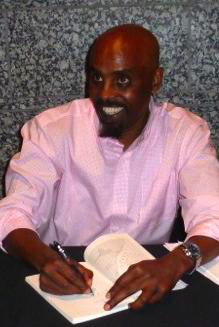 He came to the U.S. in the late 1980s, and – despite not knowing his age – holds two degrees and is one of the Somali community’s most eloquent writers and representatives. Connect with Ahmed on his Facebook. Let’s give a very warm welcome to our Presenting Partners for this year’s Northern Spark! Northern Spark actively engages with amazing organizations and institutions every year. Their programming contributions make the festival the vibrant night it has become. Elin O’Hara Slavick is a conceptual photographer focusing on the invisibility of radiation and all that is lost (and what remains) as a result of nuclear weapons, power and accidents. 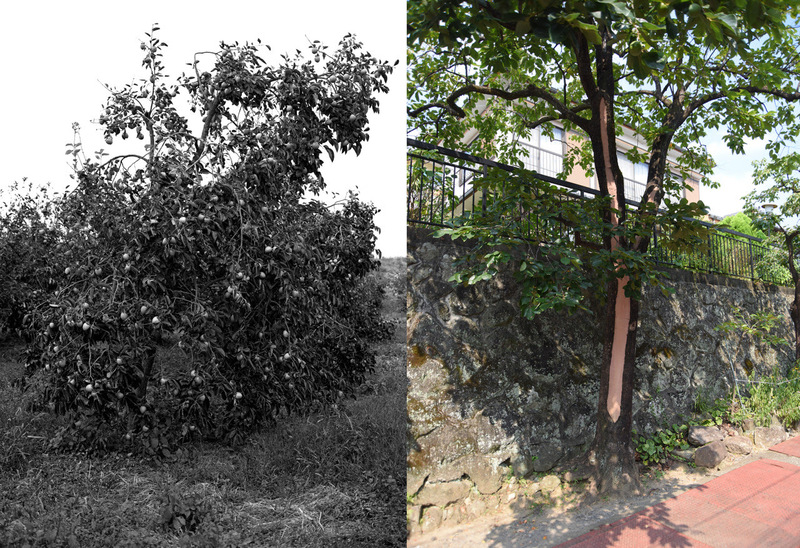 See more photographs at the Neighborhood Climate Change tumblr. Plotform, Water Quality Sing-Along, Mill Ruins Park, Northern Spark 2016. Photo: Max Haynes. 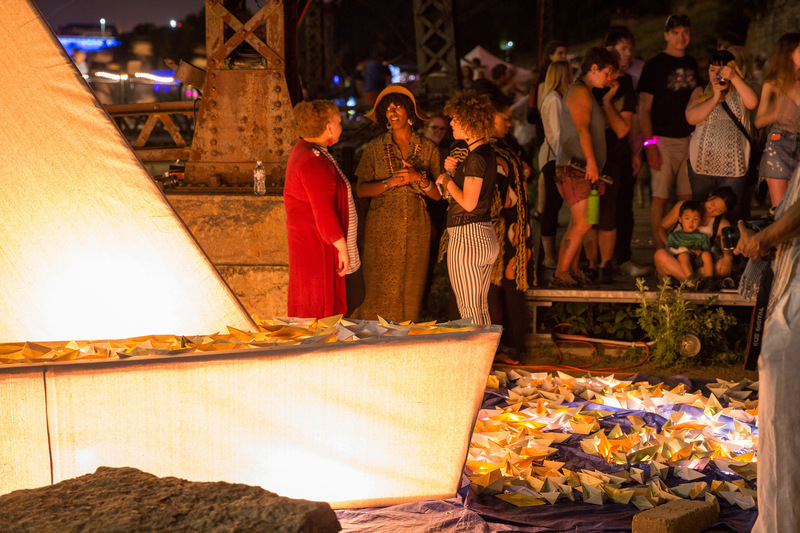 Plotform, the artist collective behind the 2016 Northern Spark project Water Quality Sing-Along, will be hosting a Water Quality Support Group followed by a dance party at the Water Bar in Minneapolis. The event will feature an evening of storytellers who will share personal short stories of nitrate-affected water that highlight water crisis, failure, challenge, solution, and more. The goal: to paint a rich and varied picture of all of the ways that we are agents as well as victims of the nutrient pollution that impacts the health of freshwater throughout the state. Come and hear stories, drink water and dance! – Hennepin County is currently seeking professional artists and technologists to volunteer to work with youth participants at What the Hack?, a one-day, free event creating opportunities for North Minneapolis youth ages 14 to 18 to learn, play and work with arts and technology. All are encouraged to join in sharing their passion and talent: Painters, programmers, inventors, illustrators, actors, sound, website and game designers, DJs, dancers, musicians, makers, 3D printers, and fashion and wearable tech designers. What the Hack? will take place Saturday, November 19, 2016 from 8:30 am to 5:00 pm at The Soap Factory. Interested? Contact Kelly Clausen with your availability and questions. – INSTINT assembles an international roster of acclaimed creators to explore the intersection of art, technology and interaction. Located in New Orleans from January 22nd – 24th, INSTINT utitlizes presentations, discussions, workshops, show & tell, and social events, all to bring creators together in community and potential collaboration. Tickets are still available! Find out more information and register on their website.